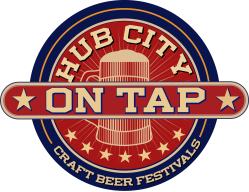 The 2nd Annual Hub City on Tap is coming to the Panhandle-South Plains Fair Coliseum on Saturday, August 26th with a VIP session and two general admission sessions! Sample over 100 releases from some of America’s best craft breweries! Let’s drink, Lubbock! Join us this August at the hub of delicious beer, great atmosphere, and amazing memories for the 2nd annual Hub City On Tap Craft Beer Festival. We’ll be serving up a perfectly crafted experience at the Panhandle-South Plains Fair Coliseum. The giant side of Texas deserves a giant selection to choose from, so we’ll have 100+ craft beers from over 50 breweries available to sample. Let’s not forget there will also be live music entertainment, fun & games, and delicious food available for purchase. If you're looking for special treatment, grab VIP tickets which include access to Market Street’s VIB (Very Important Beer Drinker) area where you can grab some grub and hang out. Get your tickets today and get ready for the hoppiest day ever, Hub City! See you soon.